A proof will be sent for approval to the email address provided. Please allow 3-4 weeks after you have approved the proof for your order to be custom made before shipping. Showcase your favorite place on a roomy, durable, canvas tote bag. 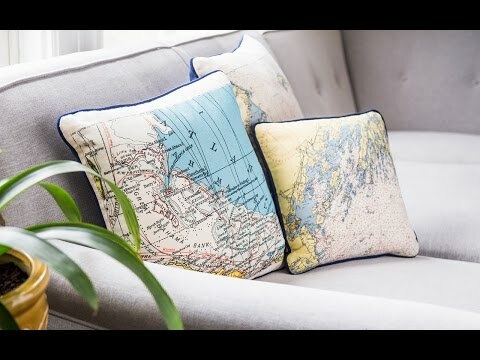 Topographical maps and nautical charts are used to create a unique, silkscreened image of your chosen location. (You’ll get a proof first to approve your personalized design.) A large marine clip helps keep your essentials securely inside. Dimensions: 15.5" (21" laid flat) x 12.5" x 6"
I bought this as a gift for my sister. It looked great. She loved it. It was well made. Sturdy with room for lots of stuff. The map was pretty. 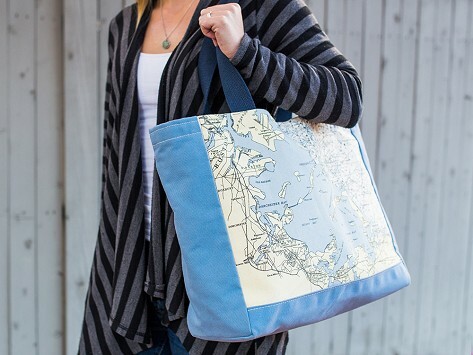 Great bag with map of our lake. Love it!